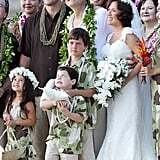 Jake Gyllenhaal and his sister, Maggie, were in Hawaii over the weekend to attend their father Stephen's wedding. 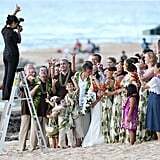 They were on the island of Oahu for the nuptials yesterday. 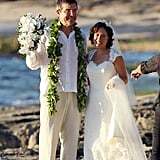 The groom wore a white linen top to tie the knot with his bride, Kathleen Man. Kathleen is a filmmaker and professor and has worked on the project Grassroots alongside Stephen. The location was a special one, as Hawaii is Kathleen's home state — she even went to the Punahou School, where President Obama went as a kid! 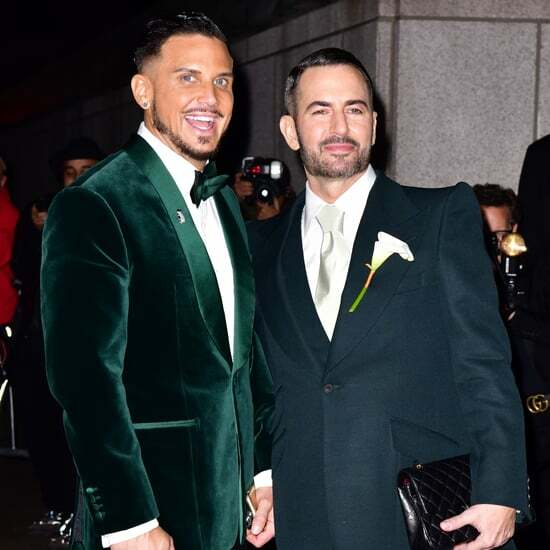 It was three years ago that Stephen split from Jake and Maggie's mom, Naomi Foner. 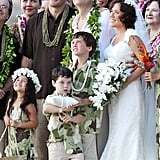 Maggie and Jake went with the islands theme by rocking leis for the ceremony. Jake even served as a groomsman and was spotted making the shaka hand sign for photographers.